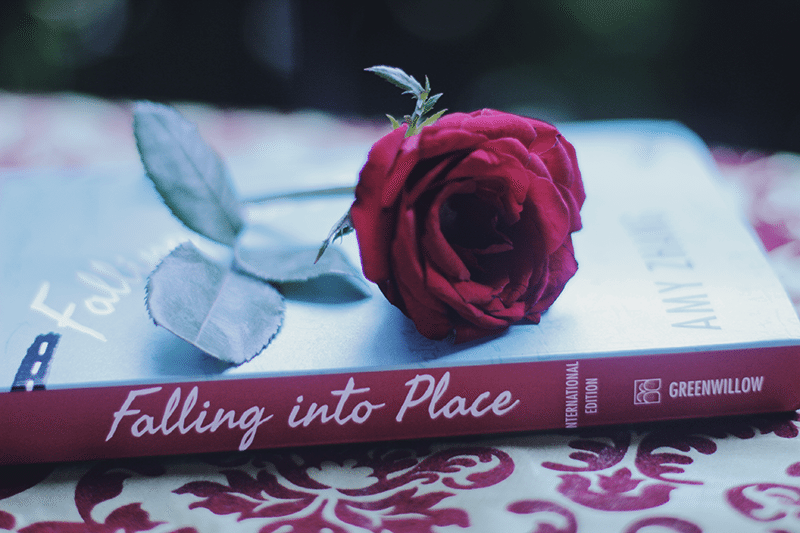 Falling Into Place has got to be one of the most outstanding YA debut novels I’ve read this year. Three reasons why you really ought to read this book: The writing is stunning, the characters are realistically complex and the story is earnest, courageous and also important. The most popular girl in her high school, Liz Emerson chooses to be an object in motion that would stay in motion despite flattening everything in her path. Sad, broken and destructive, Liz applies Newton’s Laws by crashing her car, with every intention to say goodbye to her miserable life. Falling Into Place is a deep exploration of the inertia, force, mass, gravity, velocity, acceleration and ultimately the cause and effect of Liz’s existence. Seriously, Amy Zhang is a stellar writer. I can’t even begin to express how much I fell in love with her prose. The way she crafted Falling Into Place with this lovely mess of jumbled moments detailing Liz’s life and all its in-betweens, and how she added snapshots- gorgeous. The way she incorporates these physics theories into her story and uses them as metaphors- sublime. Also, the use of a mysterious narrator worked incredibly well for me. What stood out the most though is the essence of the writing and its unflinching and honest depiction of its characters. While Falling Into Place is centered on Liz Emerson, it does not fail to take notice of the people in Liz’s life and in fact allows them to be a channel to fully understanding Liz and her brokenness. There’s Monica, Liz’s mom, Julia and Kennie, her best friends, and Liam, a boy from their high school. We get to read their perspectives, discern their connection and relationship with Liz (and how that had pushed her even further into darkness) but we also see these characters for who they are, what their own story is. Everyone has their broken parts and everyone is more than a little messed-up and my heart just couldn’t help but hurt for each and everyone of them. My heart broke the most for Liz though. 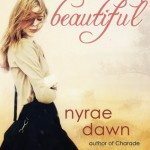 She’s the kind of character some readers might hate or might feel disconnected to because she sure has her share of irreparable stupid mistakes. That said, I truthfully was able to sympathize with her despite never being in her shoes. The way the author puts Liz’s emotions and thoughts into words- they felt familiar even when they weren’t, you know? I’m probably sounding cryptic here but I don’t know how else to describe the way Liz and her story affected me. I was so surprised to find tears in my eyes when I closed the book. How many secrets keep us apart? Can I cross and return to the start? Falling Into Place is a really powerful novel if you let it take you deeper into Liz’s haunting and devastating life. It opens your eyes to harsh cruelties, hopelessness and depression, and the fact that even the unbreakable can break. While it maybe painful and heartbreaking, Falling Into Place is a beautifully poignant novel in its totality. I can’t recommend it enough. I’ve heard so many amazing things about this book! 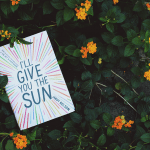 It sounds touching and breathtaking and poignant and heartbreaking, and everyone seems to be raving about the gorgeous prose and how moving the story is. This is a great review, Hazel, and you’ve only reinforced my interest in this book–I can’t wait to read it myself! Lovely review! I cannot wait to get my hands on a copy of this book. Based on what you have said, it does sounds like a powerful and impactful book that deals with a tough subject. I’m so glad to have found this review! 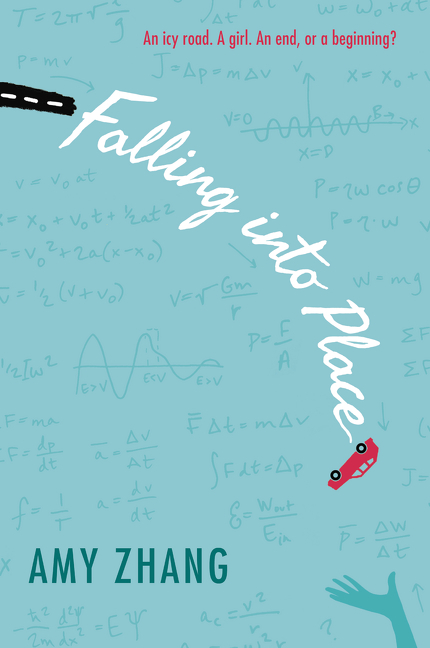 Parents and teenagers keep asking me about Falling Into Place at work, but I haven’t had a chance to read it yet. Not only do I feel good about recommending it, now, but I want to read it myself ASAP. Ooo you’ve made me super excited about this book, it sounds just gorgeous and emotionally stirring. Wonderful review! Wow the book really sounds amazing to read! I’m in a tough patch myself right now and I think I’d be able to sympathize with Liz even for just a little bit. Can’t wait to get my hands on this one!! 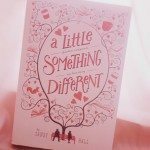 Fantastic review, Hazel – I loved this one too! The writing was just phenomenal and was one of those books that had more impact the more I thought about it after reading. Glad you enjoyed it, too! Great review! 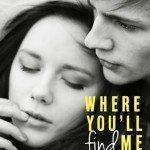 I love that you included quotes from the book, adding it to my TBR list!yay!